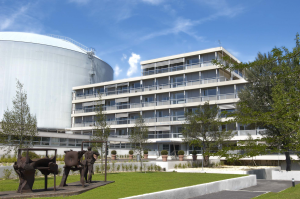 The Institut Laue-Langevin (ILL) is the world’s leading research centre for research using neutron beams. 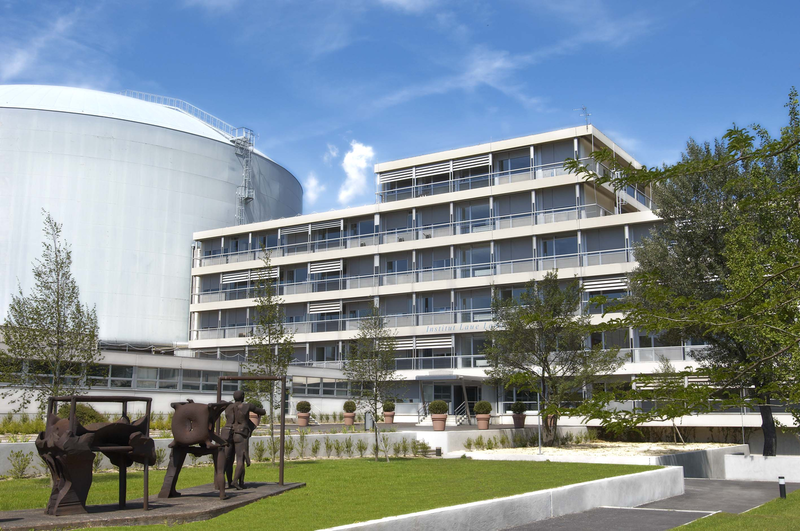 Situated in Grenoble, France, the ILL is a service laboratory which operates the most intense neutron source in the world. 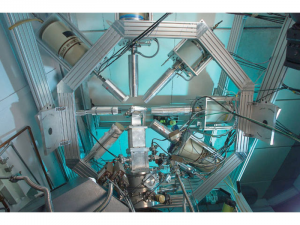 Its unique advanced instrumentation is used by scientists from the partner countries for fundamental and applied research. Its suite of 40 high performance instruments is used to probe the structure and dynamics of existing and newly created materials in the finest detail. The ILL neutron scattering facilities provide an indispensable analytical tool for the analysis of the structure of novel conducting and magnetic materials for future electronic devices, the measurement of stresses in mechanical materials, and investigations into how complex molecular assemblies behave, particularly in a biological environment. The ILL also tackles questions relating to the fundamental properties of matter. To maintain its status of leader in neutron science, the ILL constantly upgraded its instruments, infrastructure and scientific equipment for the last 50 years. The Millennium programme achieved its goals, but the need for ever more sensitive and powerful instrumentation is constant. ILL is therefore perpetuating progress with its new Endurance programme, which will continue to develop instrumentation and support services with a view to maintaining the Institute’s world-leading position for another decade at least. Endurance phase I is currently running (2016-2019), with a second phase foreseen to run between 2020 and 2023. The ILL is owned and operated by its three founder countries: France Germany and the United Kingdom, and ten scientific partners: Spain, Switzerland, Austria, Italy, the Czech Republic, Sweden, Belgium, Slovakia, Denmark and Poland. As a service institute, the ILL makes its facilities and expertise available to visiting scientists from all over the world. Every year about 1500 researchers visit the ILL to perform over 800 experiments, which are peer reviewed by the Institute’s Scientific Council and its subcommittes. ILL scientists and their users publish around 600 articles each year in the international scientific press and in conference proceedings.